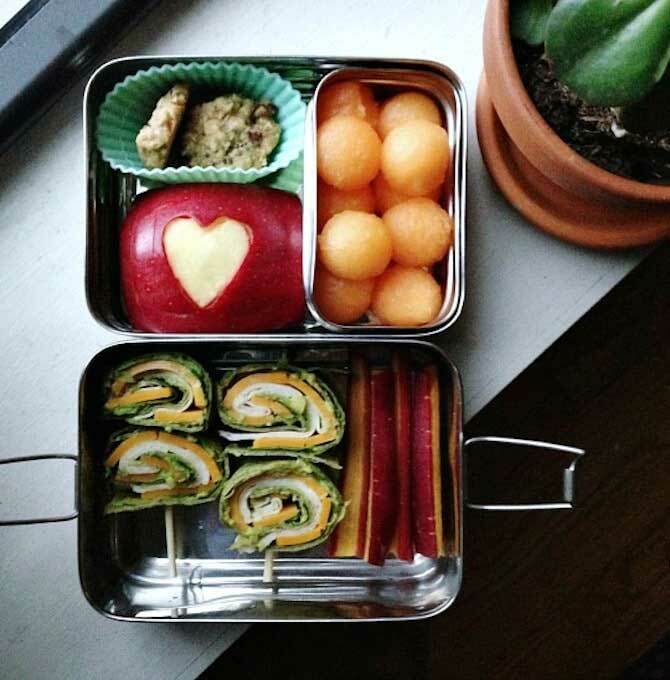 Before we get started, remember it’s enough to pack your child a healthy lunch that’s not fancy. It’s enough to throw a party with devilish treats galore. It’s enough to go on a picnic and make it easy rather than complex. And it’s enough to reach into the fridge and hand your child a banana. But this article is for when you find yourself wanting to do something a bit extra special. Perhaps you have a fussy eater. 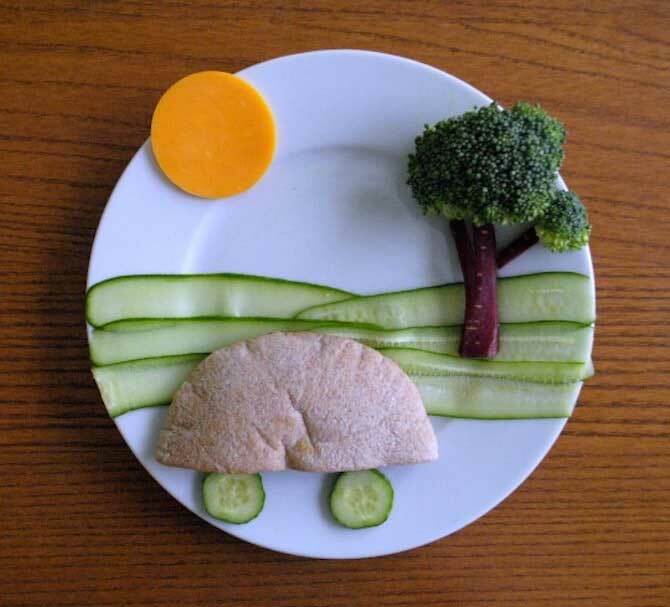 Perhaps you’re transitioning your child to a new, healthy food. Perhaps you simply want to have a bit of fun. And perhaps you want to show off a little. 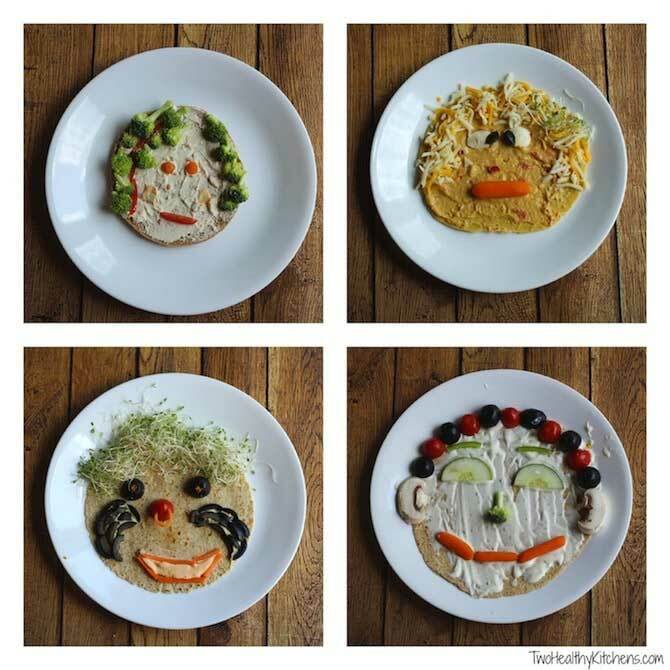 With respect to the limited time and diverse talent of Moms, Dads and carers all the world over, we wanted to put together an extensive list of healthy snack ideas that are super-easy and crazy-fun. We’ve served up the most amazing snacks for parties, picnics, school lunch boxes and home life. Will 41 ideas do? Who knew fruit could be so appealing? 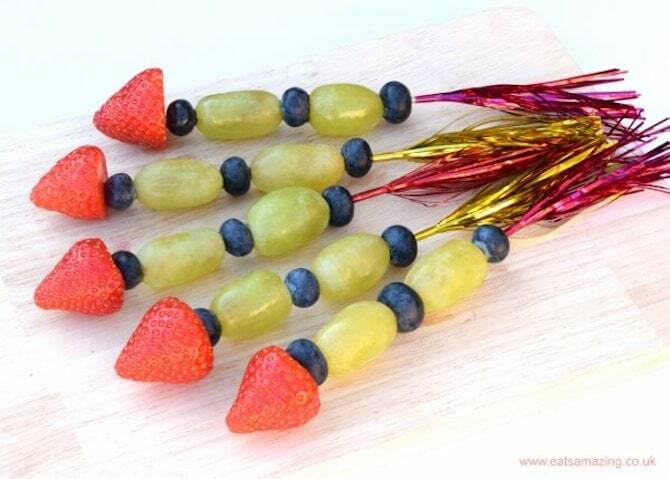 Move over fruit wands, how about fruit rockets? 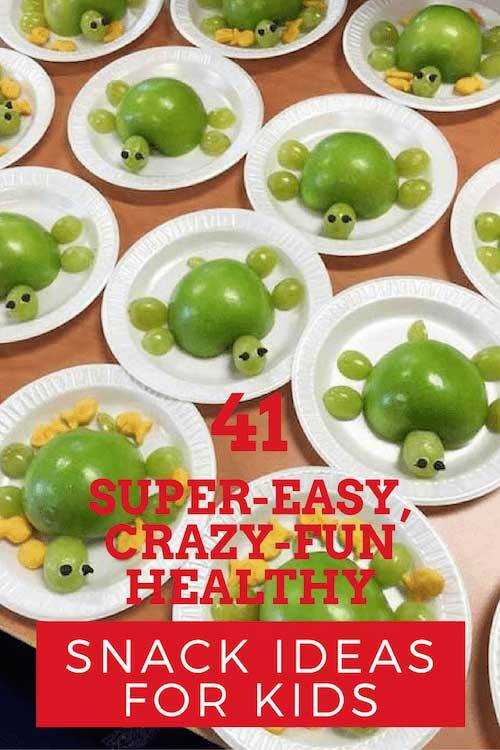 And apples four ways: turtle, boat, silly face and more turtle. 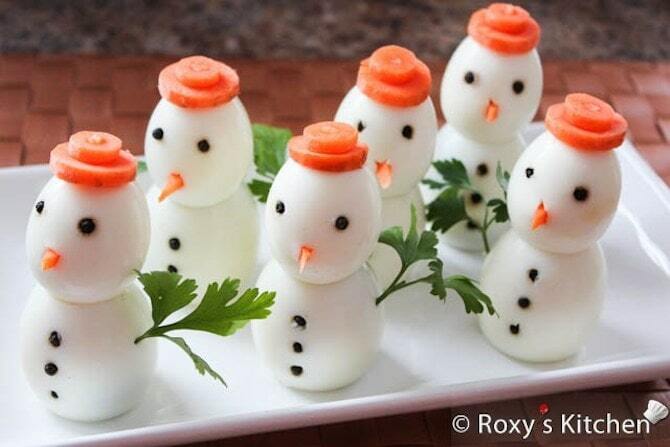 Get some protein happening with cheeky cheese monsters and egg snowmen. Make finger food fun by putting it in a train. Crazy awesome. Just make sure you photograph the results, so you can collate your colorful happy snaps after the party to create a collage you and your family can treasure for years to come. Here’s all the info you need on how to make a collage. 1. 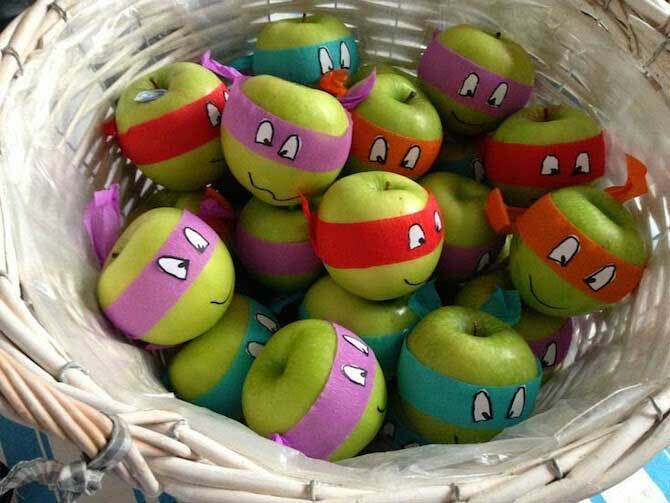 Teenage Mutant Ninja Turtle Apples by Fun Themed Party Ideas. 2. 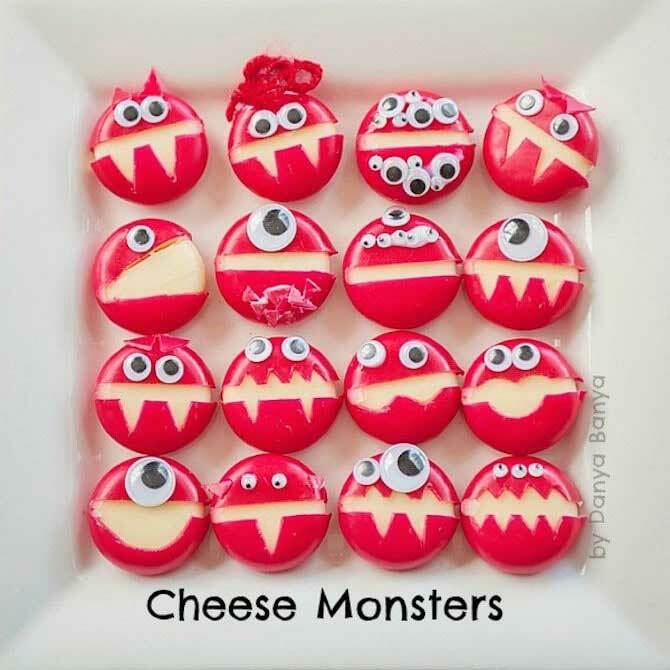 Cheese Monsters by Double The Batch. 3. 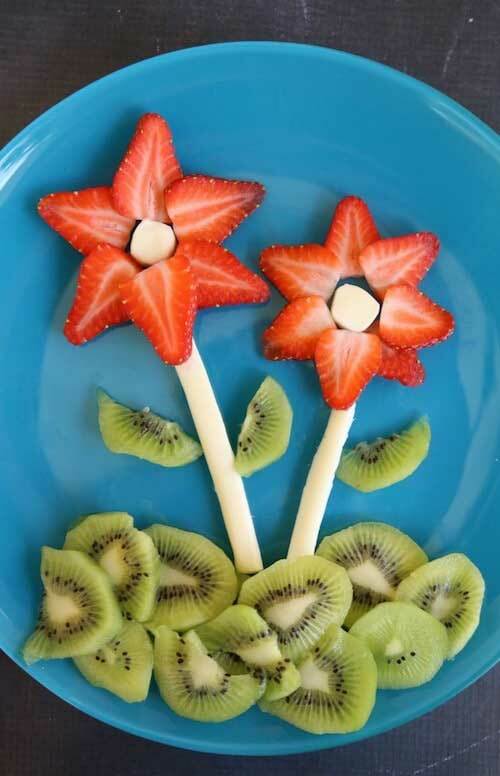 Fruit Rockets by Eats Amazing. 4. Train Treats by Eats Amazing. 5. 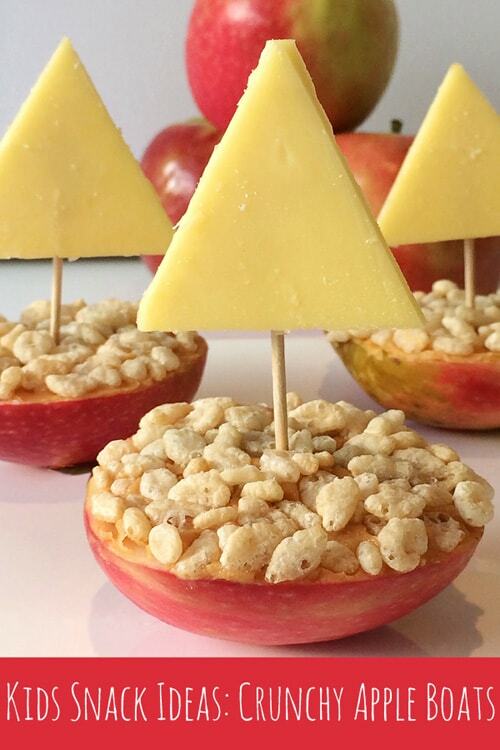 Crunchy Apple Boats by Childhood 101. 6. Flower Fruits by Mom Endeavors. 7. 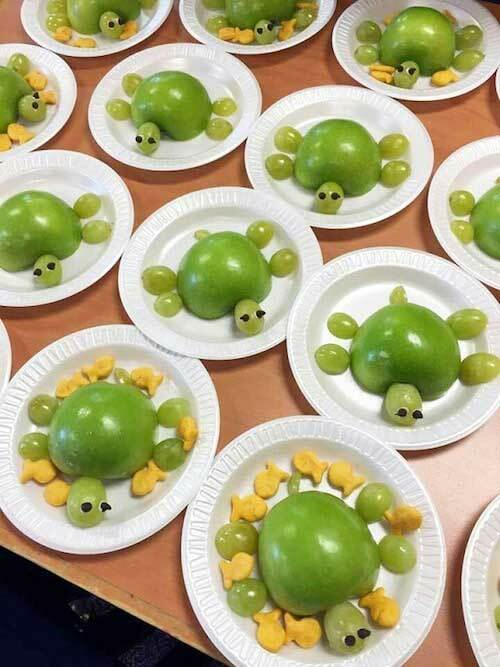 Sea Turtle Apples by Crafty Recipes. 8. 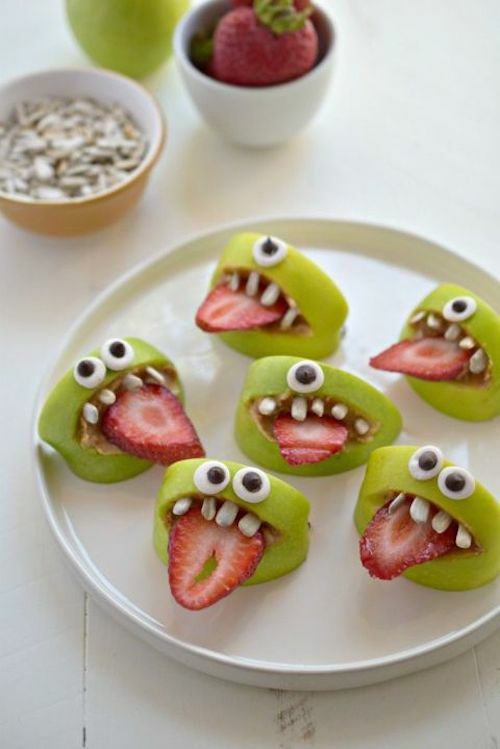 Silly Face Fruit Bites by Country Living. 9. 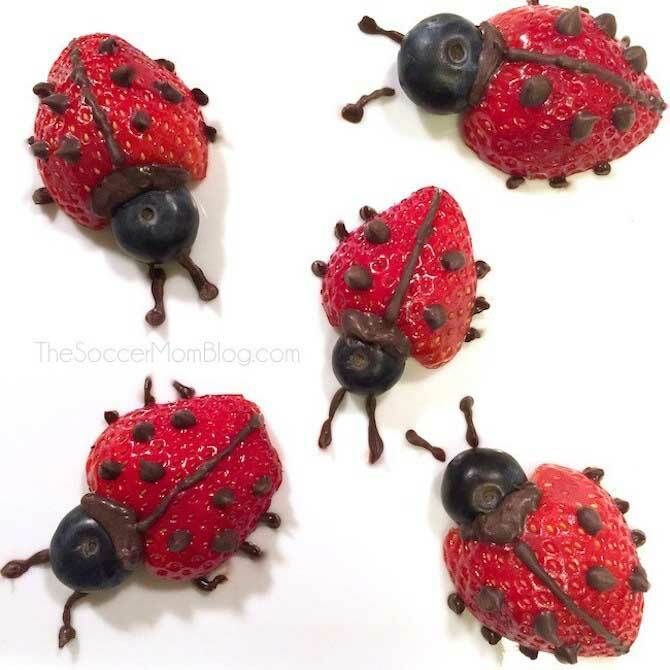 Strawberry Choc Lady Bugs by The Soccer Mom Blog. 10. 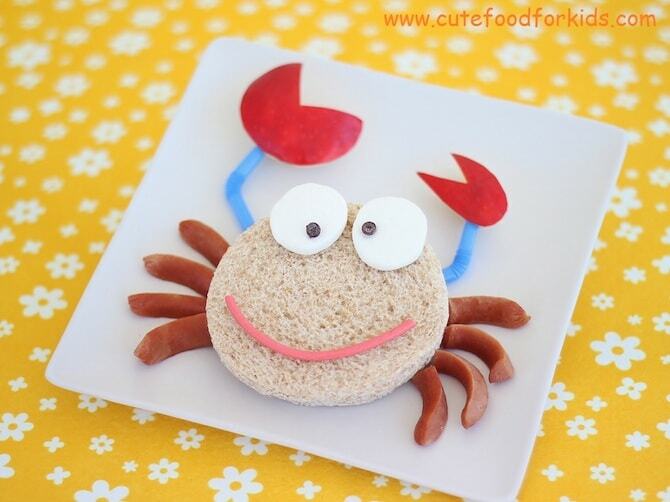 Crab Sandwich by Cute Food For Kids. 11. Egg Snowman by Double The Batch. Bring a paper plate alive by creating a whole new world of food. The animal you choose is only limited by your imagination, but this cheat sheet below is ideal: butterflies, sailing boats, dip faces – even a road trip. 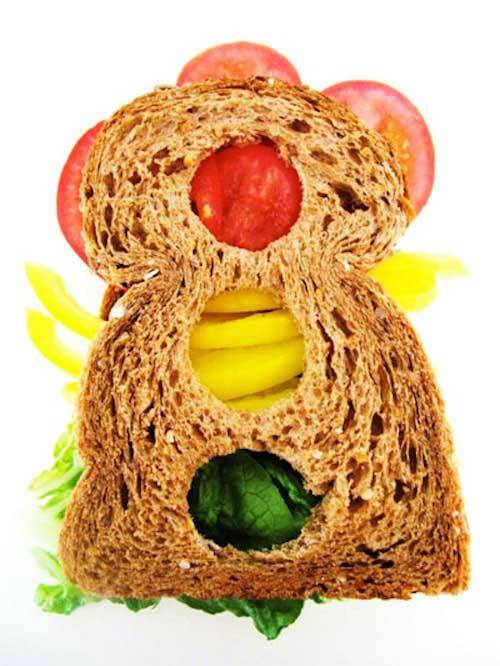 For something even easier, cut your wholemeal sandwiches at home into teddy bear shapes, revealing the colorful goodness inside. 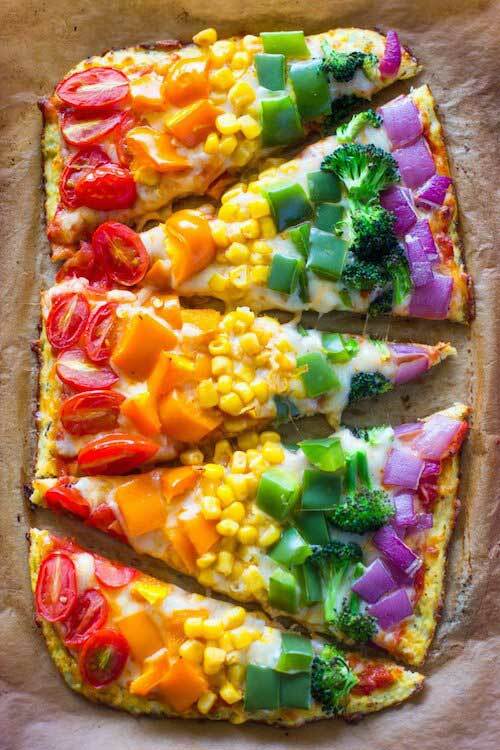 Speaking of color, who knew pizza could double as a rainbow? This recipe simply pops with color and nutrition. 12. 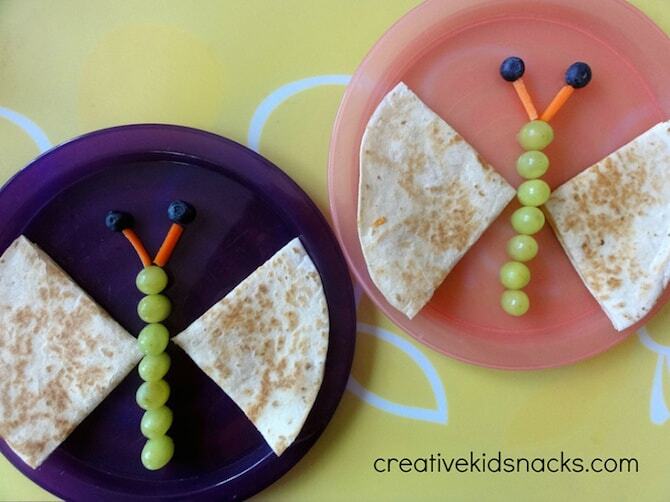 Butterfly Quesadillas by Creative Kids Snacks. 13. Bear Sandwich by Kidsters Live Journal. 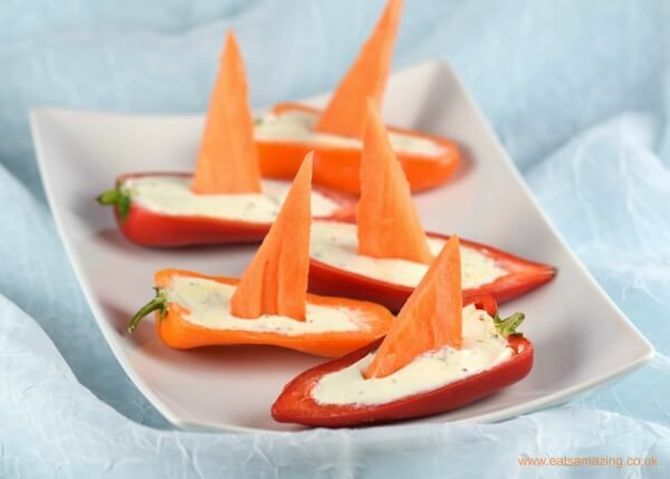 14. Pepper Boats by Eats Amazing. 15. Rainbow Pizza by Gimme Delicous Food. 16. Pita Road Trip by How About Cookie. 17. Dip Faces by Two Healthy Kitchens. 18. 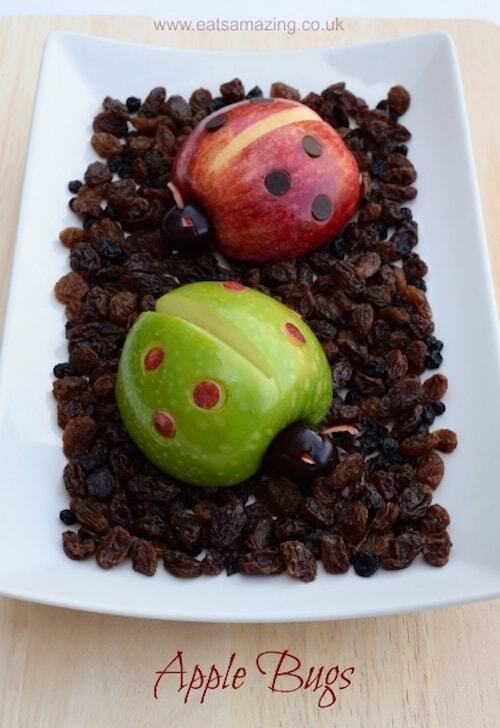 Apple Bugs by Eats Amazing. 19. 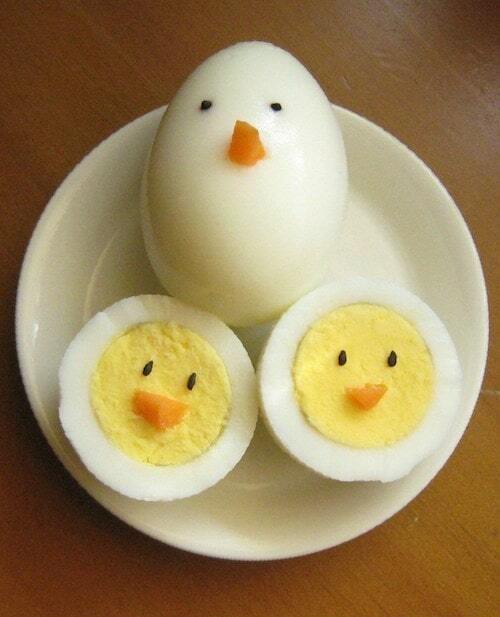 Chickie Eggs by Emily A Roach. 20. 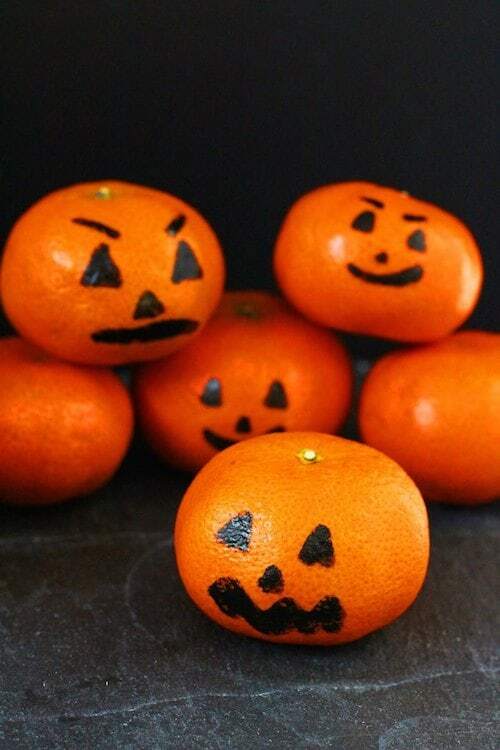 Halloween Oranges by My Fussy Eater. Not all of us will have the inclination to whip these up for after school snacks, but they’re super fun for those lazy weekends at home. 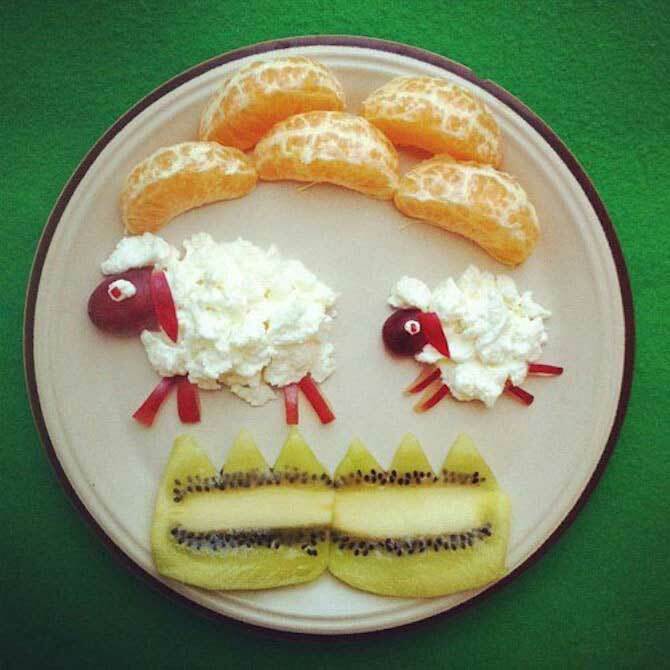 Get the kids involved in the creative process and it’s like doing craft – but you actually get to eat it! We’re talking apple crabs, apple owls, cottage cheese sheep (aren’t they adorable?) and countless other arty designs. After something bigger than just a snack? Then why not opt for pirate oatmeal for breakfast or a pasta nest for dinner? So much cute. And I reckon the bear and owl toasts would disappear in two seconds flat. 21. 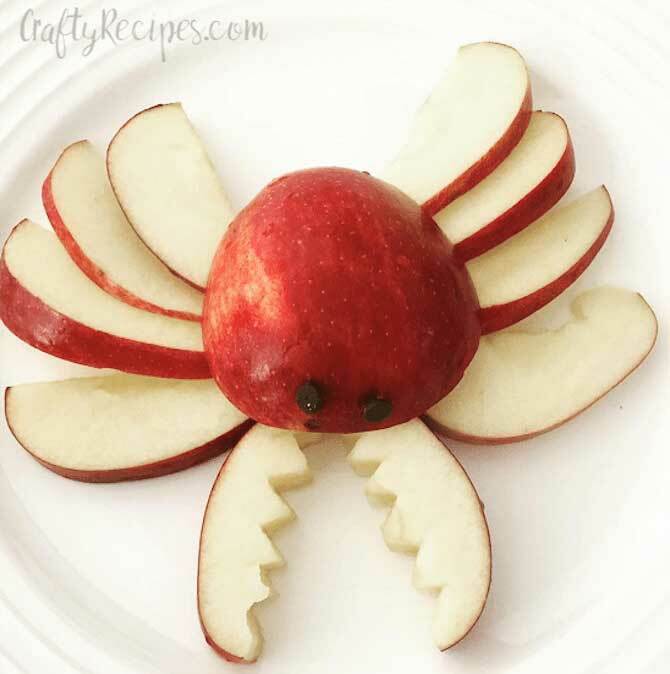 Apple Crab by Crafty Recipes. 22. 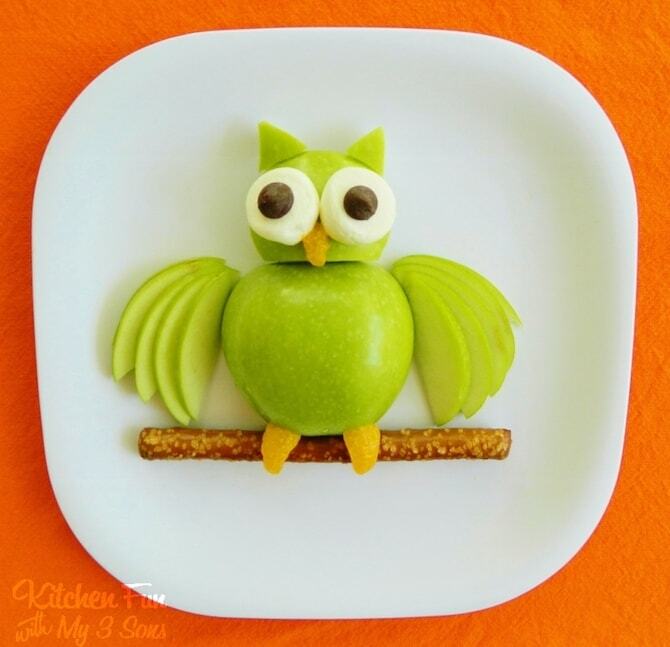 Apple Owl by Kitchen Fun With My Three Sons. 23. 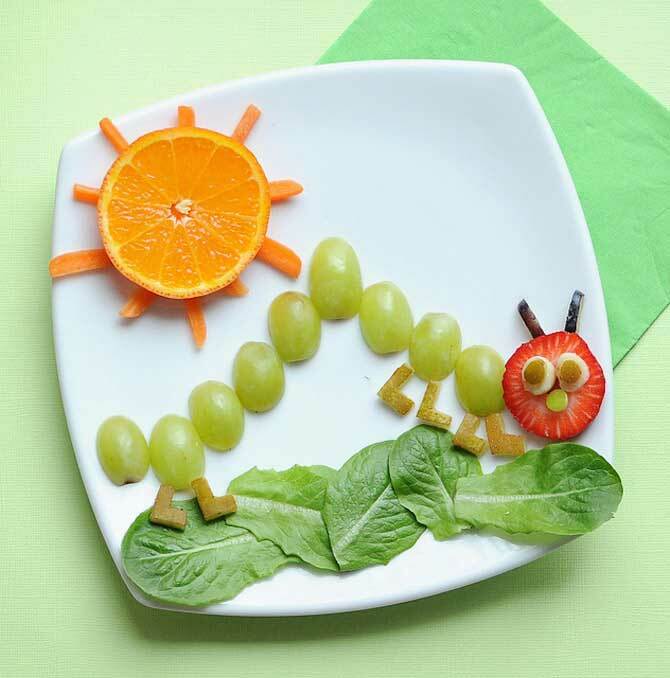 Fruit & Veg Caterpillar by Meet The Dubiens. 24. Cottage Sheep by The Kitchn. 25. 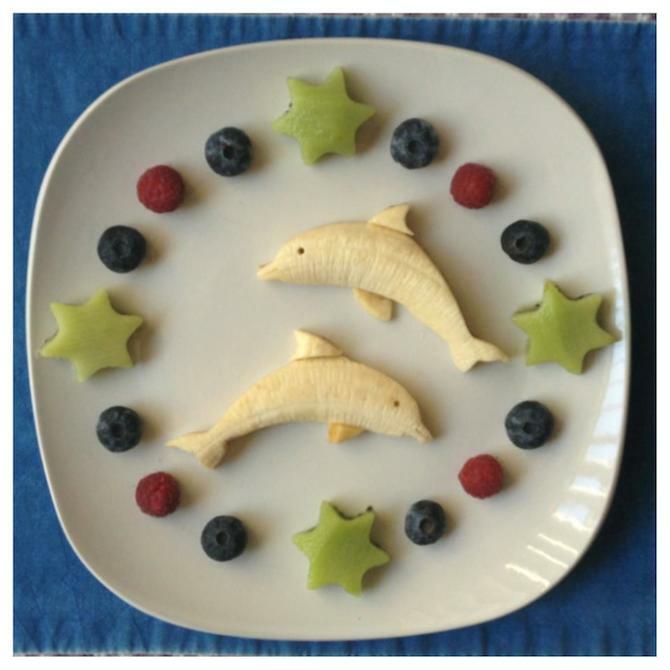 Fruity Dolphins by Fun Meals 4 Kids. 26. 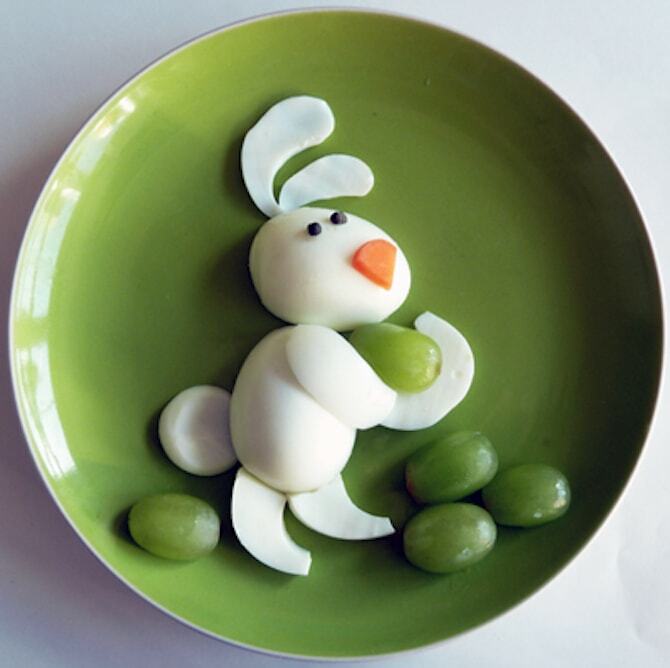 Egg Bunny by Natural New Age Mum. 27. 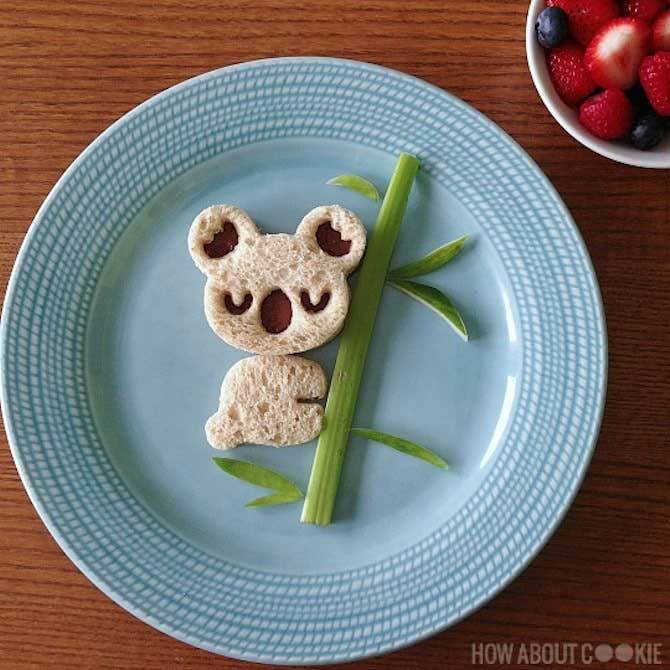 Nutella Koala by How About Cookie. 28. 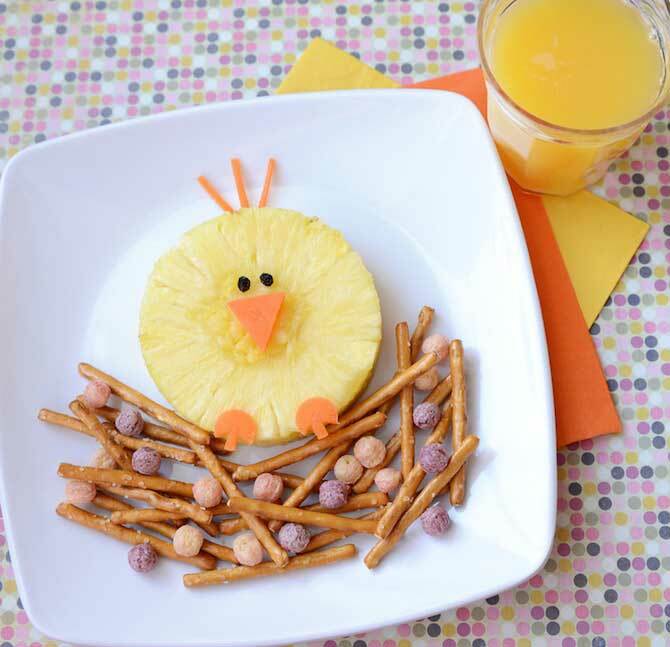 Pineapple Bird by Kix. 29. 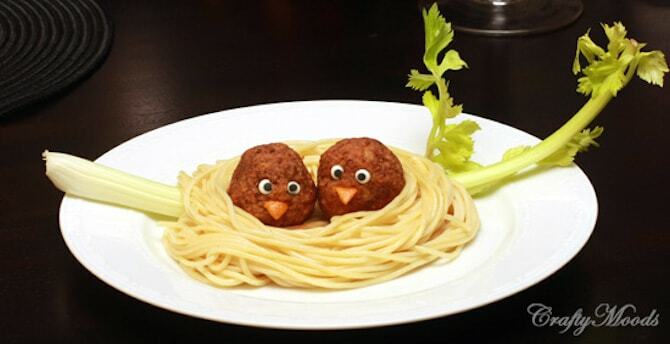 Pasta Nest by Crafty Moods. 30. 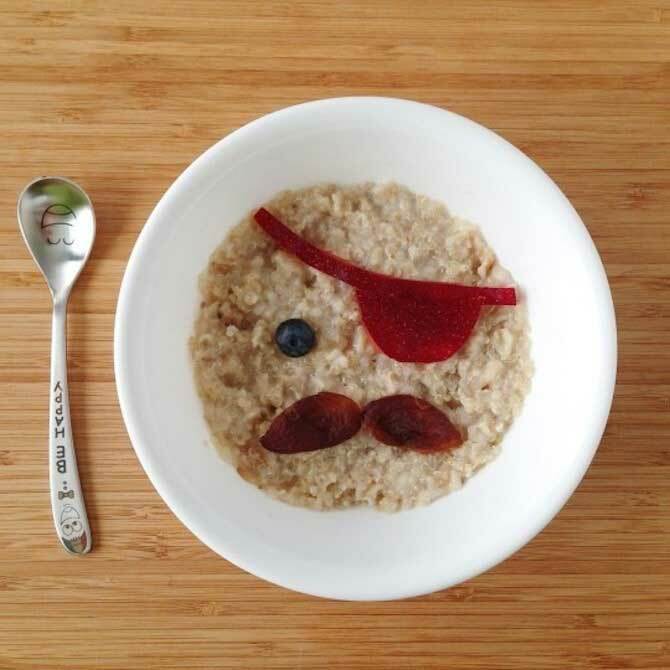 Pirate Oatmeal by How About Cookie. 31. 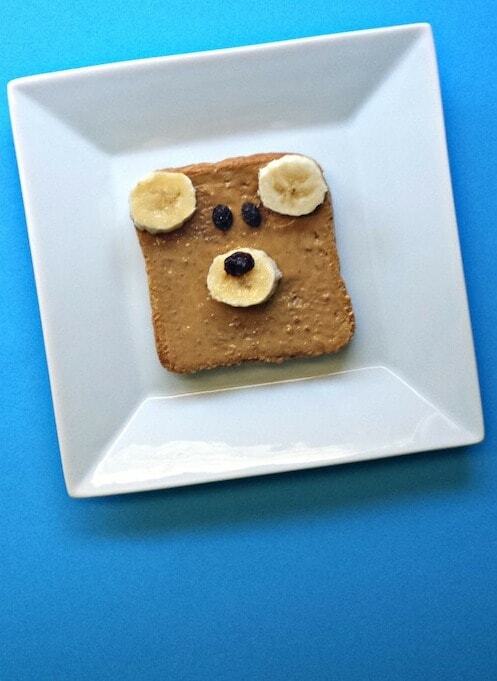 Bear Toast by Crafty Morning. 32. 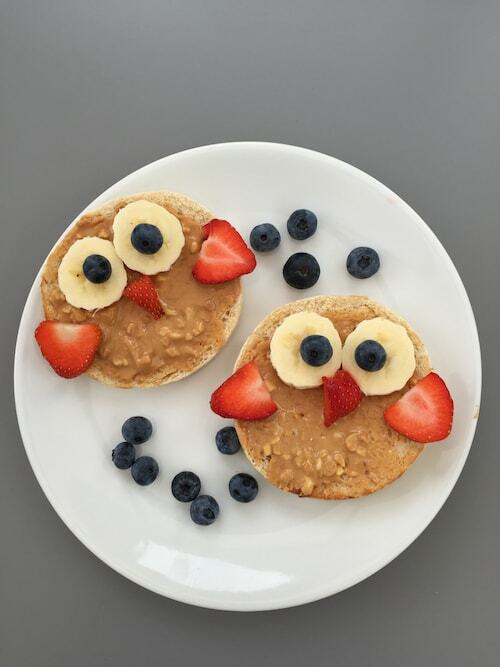 Owl Toast by Daisies & Pie. 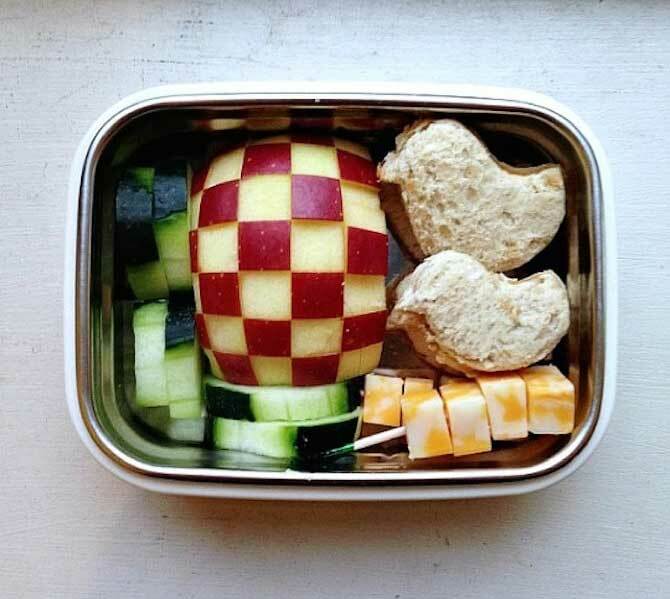 These bento boxes are so incredible, I reckon adults would even appreciate them. That storm trooper egg alone would have my husband and his nerdy work mates talking for weeks. The wonderful thing about bento boxes for kids is the variety of foods they inspire. 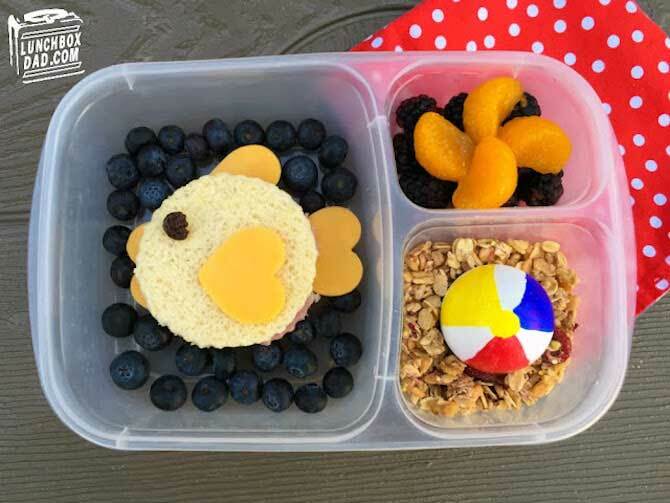 Throw in a few grapes, blueberries and some slices of cucumber and pineapple along with a cute cookie cutter sandwich and it’s quite likely your child will return home with an empty lunch box. 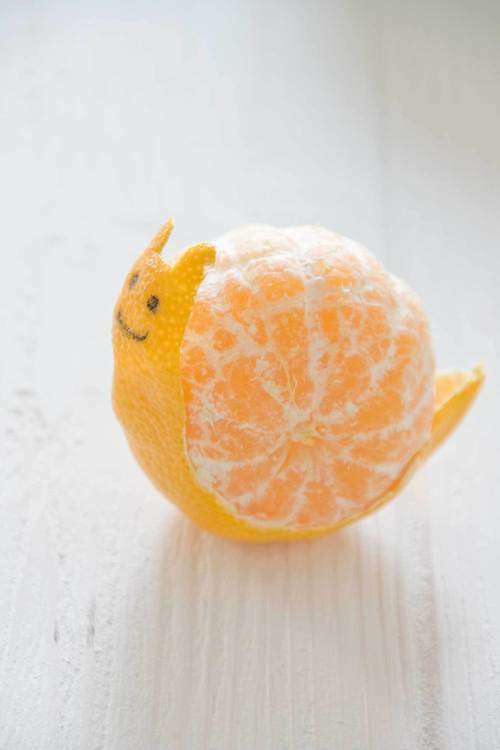 How delicious does that mandarin look all of a sudden after becoming a cute snail? And those butterfly lolly bags full of healthier treats? I mean, what a way to make sure fruit is actually eaten! 33. 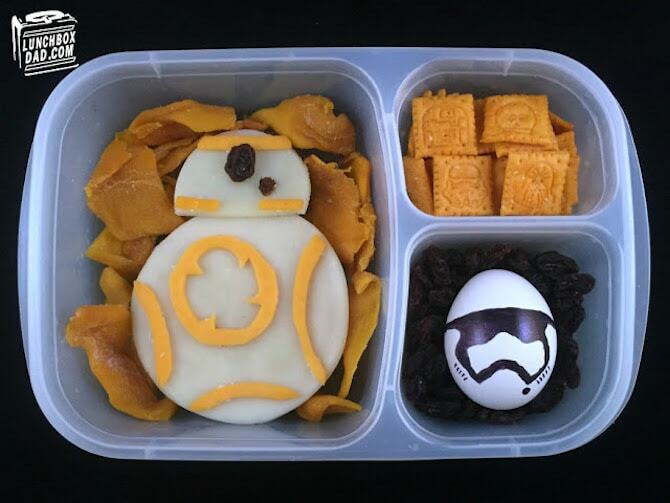 Star Wars Bento Box by Lunch Box Dad. 34. 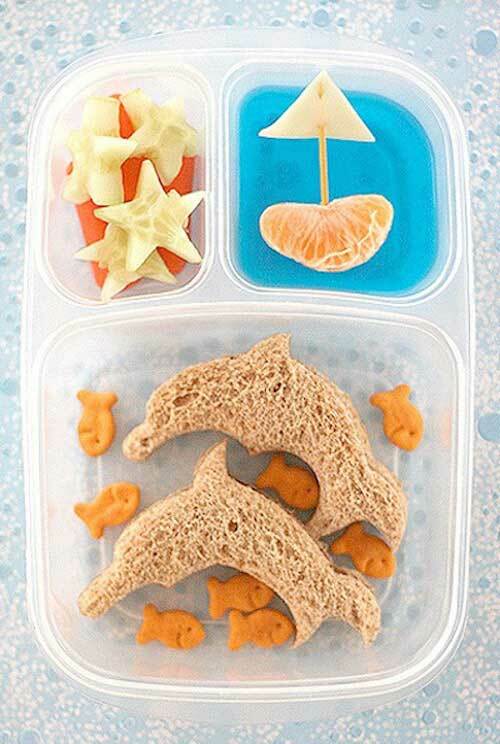 Sea Life Bento Box by Kidsters Live Journal. 35. 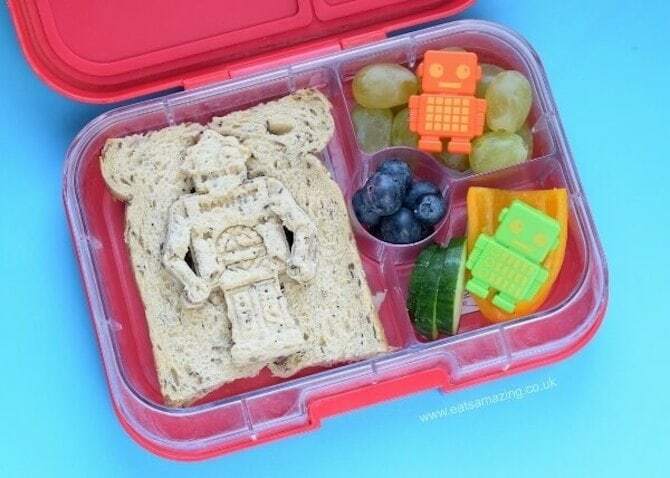 Robot Bento Box by Eats Amazing. 36. Beach Bento Box by Lunch Box Dad. 37. Heart Bento Box by How About Cookie. 38. Chick Bento Box by How About Cookie. 39. 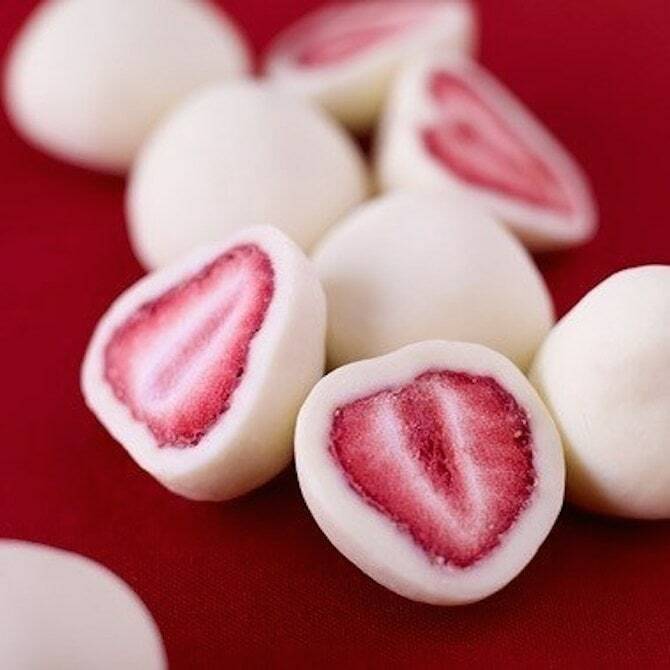 Strawberry & Yogurt Bite by Glamour Health. 40. 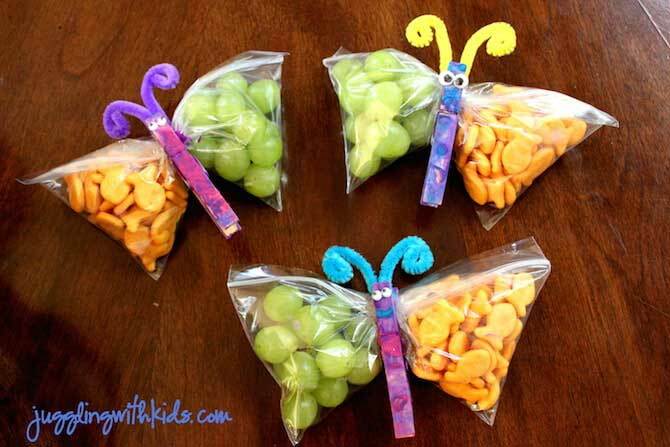 Butterfly Bags by Juggling With Kids. 41. Snail Orange by Emily A Roach.